Ahhhh. Can you hear that? It’s the sound of satisfaction. I’m writing this with a full belly after finishing this super healthy and substantial meal. 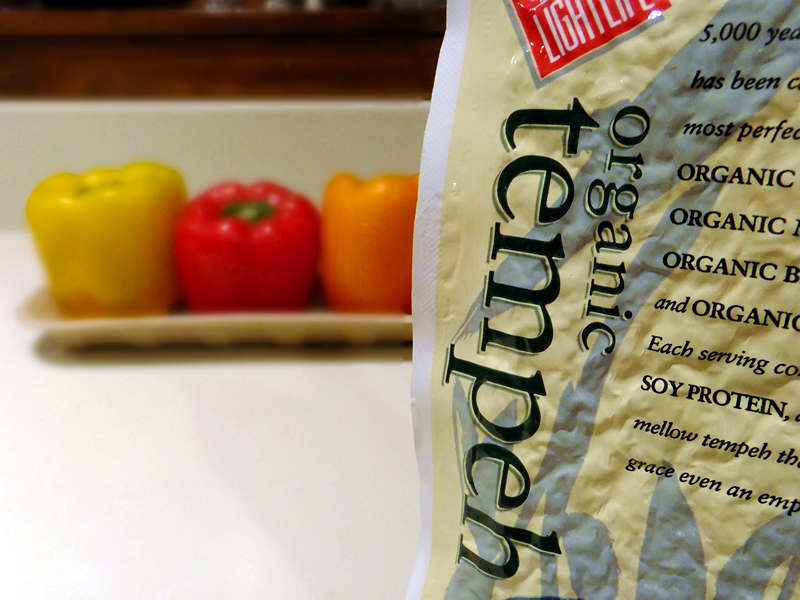 Tempeh is a soy product made from fermented soybeans. It has a nutty flavor and it’s firm texture makes it an excellent meat substitute. I’ve been told that tempeh is an acquired taste but I wouldn’t know anything about that. I have loved it from the first taste. I first had tempeh fajitas at a fabulous vegetarian restaurant called Preservation Hall in Buffalo, NY. It is no longer in business but, luckily, these are a snap to put together at home. 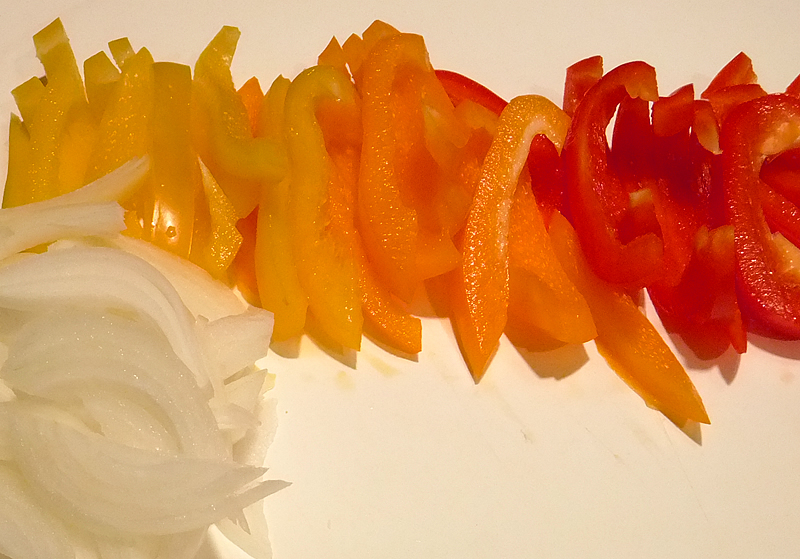 Slice onion and peppers into even strips as pictured. Heat 1 teaspoon of the olive oil in a medium saute pan over medium to low heat and tip the bowl of tempeh into the pan, marinade and all. Arrange slices into a single layer and cook for a few minutes per side, until golden brown. 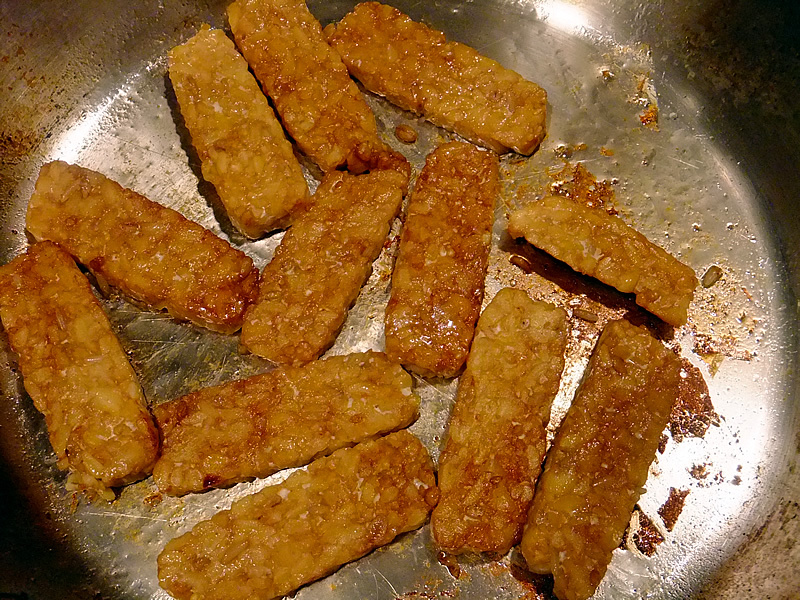 Remove tempeh to a plate and set aside for now. Heat the other teaspoon of olive oil over medium heat and saute the onions and peppers. 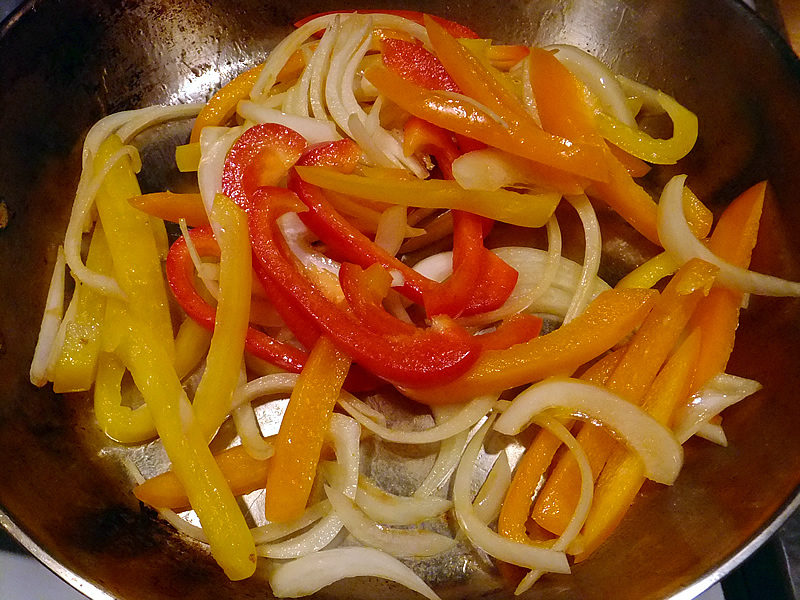 Cook until the peppers just start to soften. Stir salsa into the pepper mixture and season with salt and pepper to taste. Add tempeh and cook until heated through. 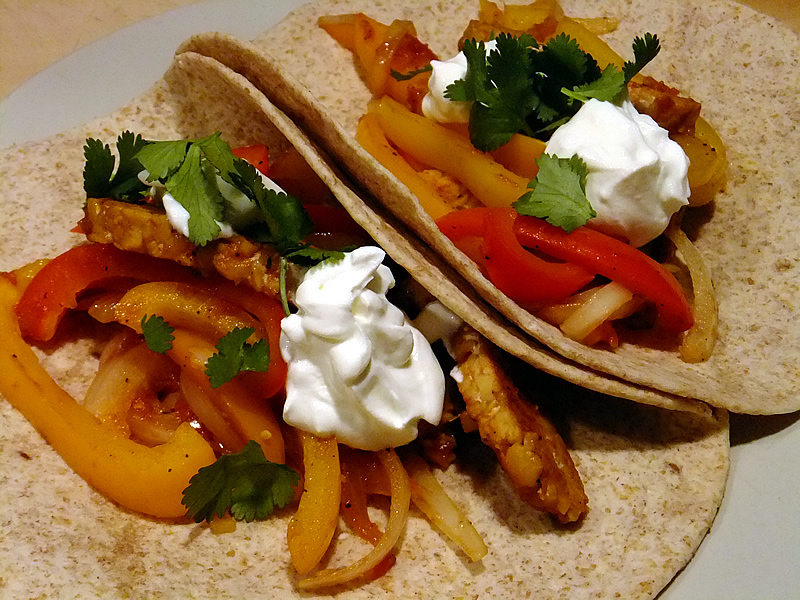 Divide the tempeh and vegetables among the four fajita shells. Serve with your choice of condiments. I love these simply as is with a dollop of sour cream and fresh cilantro. Yum yum yum! These look great and I have some tempeh in my fridge I want to put to good use. Thanks for linking up at my pepper blog hop! Pinned!